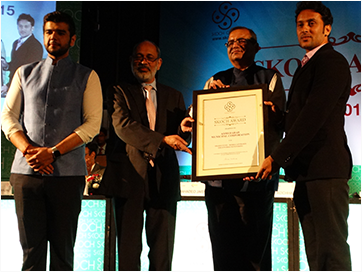 On September 25, 2015, we have been awarded the Skoch Smart Governance Award for our successful SmartCity311- Mobile App Based on Field Works Monitoring. Skoch Smart Governance Award is an enterprise recognizing top performing government organizations and organizations that are working with government at local, state and national level in the area of Health, Education, Rural Development and more. There were more than 40 projects that took part in this competition, including our project. The event has declared our Smartcity-311 application as a winner of this competition as it was a big achievement for us.